If you have sensitive skin, it is a good idea to use hair care products that won't trigger an allergic reaction. However, it can be challenging to identify hair care products that are truly hypoallergenic, because, as the U.S. Food and Drug Administration (FDA) states, "there are no Federal standards or definitions that govern the use of the term 'hypoallergenic'." Instead of focusing on product labels that have the word 'hypoallergenic' on them, take the time to look for products with few or no ingredients likely to irritate sensitive skin. Fragrances: Although they may offer a pleasant scent to your favorite shampoo or conditioner, artificial fragrances (and even some natural fragrances) are often the cause of allergic irritation. Dr. Frank Lipman, founder of Eleven-Eleven Wellness Center in New York City, calls synthetic fragrances "cancer-causing" and says they are "shown to affect the central nervous system." While you may not experience some of the more drastic effects, if you are prone to allergic reactions, it is generally best to search for fragrance-free products. Preservatives: To maintain the shelf life of hair products, manufacturers often include preservatives in their formulations. Mumbai cosmetologist Dr. Dinyar Workingboxwalla warns against chemicals like "methyl, propyl, butyl, (and) ethyl parabens." He links them to allergic skin reactions and describes them as potentially cancerous. In addition, in an interview published on BeautyHigh.com, Dr. Vermén Verallo-Rowell recommends avoiding the chemical preservative methylisothiazolinone, which has an allergic reaction rate of ten percent (as opposed to the average rate of two percent or less). Artificial pigment: Dr. Workingboxwalla also cautions the use of hair color for those with sensitive skin because of the phenediamines, resorcinol and ammonia contained in the majority of these products. He instead recommends "natural, plant-based dyes," which are considered more gentle on the scalp. Sulfates: In a Huffington Post article, Dr. Rebecca Baxt, a New York-based dermatologist, recommends sulfate-free shampoos for those with allergies, especially for those with eczema-prone skin. Sodium lauryl sulfate is commonly used in shampoo, but can cause allergic reactions and other problems such as skin rashes, irritated eyes and dandruff-like flaking. The Honest Co.'s Shampoo + Body Wash is so user-friendly that it's gentle enough for every member of the household - adults, children, and babies alike. While the entire Honest Brand is built on natural ingredients, the Shampoo + Body wash is the only one of their hair products that is labeled as hypoallergenic. The fact that it is a dual hair and skin cleanser makes it a wise choice for both your daily shower ritual and for your pocketbook. What users are saying: An Amazon.com reviewer states, "I was using Johnson's baby wash and it always irritated my baby's skin, rashes, little red bumps...but with one use of this body wash the rashes went away." She loves the smell and the fact that the product doesn't contain any harmful ingredients. Giovanni offers a wide selection of shampoos, conditioners, reparative treatments and styling products. The brand's founder, Arthur Giovanni, is a stylist who was actually allergic to the products he was using in the salon. He formulated his own line of products consisting of natural vitamins, herbs, minerals, proteins, and nutrients to lessen the chance for any negative reaction. With such a wide variety of options, all hair types are addressed in his product line. 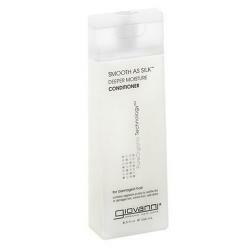 What users are saying: A reviewer on Viewpoints.com states, "I began using Giovanni shampoos and conditioners when I developed a skin irritation/allergy. It is 100% organic and hypoallergenic. Since using this shampoo I have not had any skin irritation." Viewpoint users also appreciate that they can usually find something within this brand that works for their particular hair type. The wide selection is definitely a plus. Available nationwide in natural stores and mainstream outlets alike, Burt's Bees has become a household name when it comes to natural products for the face, lips, and body that are on average 99% natural (with the exception of a small number of synthetic ingredients used as preservatives). Their Baby Bee Shampoo and Wash is plant-based and tear-free for the little ones. 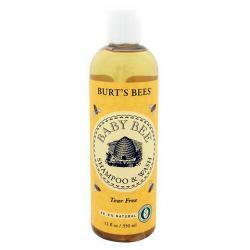 As the designated hypoallergenic shampoo among the Burt's Bees hair portfolio, it can be used by both children and adults. What users are saying: A drugstore.com reviewer states, "I bought it for my baby bath at first, but actually I most[ly] use it to wash my face every day, it is gentle and clean, feels so good...Very good product." 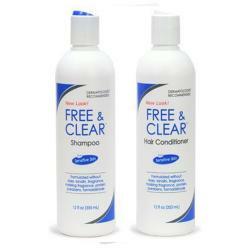 Complete with a shampoo, conditioner, styling gel, and firm and soft hold hair sprays, the Free & Clear brand is a simple line whose only premise is to be mild and gentle to sensitive skin and the scalp. Key ingredients: With Free & Clear, it's not so much the key ingredients included as much as it is the missing ingredients that make this product line so effective. These products are free from dyes, fragrance, lanolin, parabens, and formaldehyde. What users are saying: A Walgreens.com reviewer states, "Great product for anyone with skin sensitivity or a history of contact dermatitis. Use in conjunction with Free and Clear Condition for soft and shiny hair." While the aforementioned brands are a good start when searching for hypoallergenic hair products, remember that in general, the fewer the ingredients, the less likely the product is to irritate the skin. Always look carefully at all the ingredients listed on the label - especially the first few. If they are things that you can easily identify or are derived naturally (as opposed to synthetic chemicals), then you are already on the right track. Different people react differently to various ingredients. 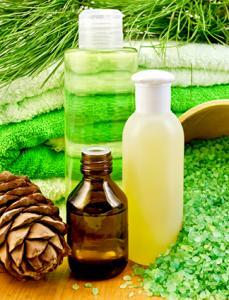 Even a shampoo labeled hypoallergenic or with very few potential allergens could trigger an allergic reaction. You can identify an allergic reaction by taking note of any changes you may see in your skin after using the product (they will usually take place on the scalp, forehead, nape of neck, hands, or any area of skin with which the product has come in contact). If the skin reddens, develops bumps, burns, or itches, you have likely experienced an allergic reaction to the product and should discontinue use immediately.